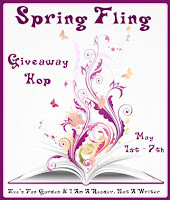 The Spring Fling Giveaway Hop hosted by Kathy at I Am A Reader, Not A Writer and Eve's Fan Garden has begun. There are 193 blogs participating in this hop so we hope you support them all. 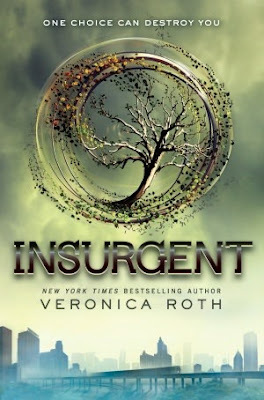 Our giveaway is a brand new hardcover copy of Insurgent by Veronica Roth (ordered from Amazon) or a $10 Amazon Gift Card (in case you win and you've already pre-ordered the book like we did so we could Free Four). Don't you just love Tris and Four! Are you guys as excited as we are to find out what happens next? What about the Dauntless and Eric? Wasn't it awesome reading from Four's point-of-view in the free read, Free Four!? Okay, enough fangirling for now. All you need to do to enter is use the Rafflecopter below and be a follower. Our giveaway is open to US/Canada and ends at midnight on May 7. Good luck! One choice can transform you—or it can destroy you. But every choice has consequences, and as unrest surges in the factions all around her, Tris Prior must continue trying to save those she loves—and herself—while grappling with haunting questions of grief and forgiveness, identity and loyalty, politics and love. I Am A Reader, Not A Writer. The next blog on the list after us is Epilogue. I am loving Divergent right now!! I can't wait to get Insurgent! I loved Divergent! Cant wait to read Insurgent!!! Congratulations to Erin! Thanks to everyone who stopped by to enter.